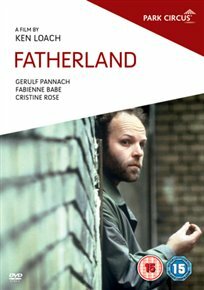 ‘Fatherland’ offers an intriguing blend of political realism (scripted by Trevor Griffiths), psychological thriller and self-reflexivity about Loach’s own art and the degree to which it is possible to make effective political statements within popular culture. The film follows the forced defection to West Berlin of a famous protest singer-songwriter (loosely based on the German singer Wolf Biermann.) after he comes into conflict with the East German authorities. What he finds in the West is another kind of censorship imposed by those American record executives who control the music market and shape popular culture. 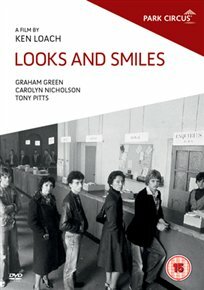 Based on the novel by Barry Hines, and set during Margaret Thatcher’s rule of Britain, the film follows Mick (Graham Green), a young man living in Sheffield who is struggling to find work and direction in life. His friend Alan (Tony Pitts) is also in the same position. He sees joining the army as his only job opportunity but is sent to serve in the conflict in Northern Ireland and the experience leaves him much changed. Meanwhile, Mick gets to know Karen (Carolyn Nicholson), a shop girl with problems of her own. Can she help Mick navigate his way in life? 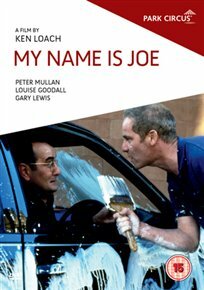 Another hard-hitting drama from Ken Loach. Recovering alcoholic Joe Kavanagh (Peter Mullan) is out of work, but spends his time coaching the local football team. When he goes to pick up team member Liam (David McKay), he meets social worker Sarah Downie (Louise Goodall).